Old Key West was one of the very first Disney resorts I stayed at, back when it was called the Disney’s Vacation Club Resort. So glad they decided to change that name a few years after opening. Disney’s Old Key West Resort sounds much better. It was Disney’s very first “timeshare” resort, and whether you like or hate DVC, the resort is spectacular. I still consider it my home away from home at Disney World, though I try to stay at every Disney resort on a kind of rotating bases. Here are 5 reasons to stay at Disney’s Old Key West Resort. Relaxation – There are very few things in this world I love more than the Disney theme parks, but they do tend to be over stimulating for kids and adults alike. One of the most important things I look for in a Disney resort is the ability to have a place to leave the parks behind and relax. No where on Disney property is better for a little peace and quiet than Old Key West. Designed after Key West in southern Florida, you really do get that relaxing, laid back feeling at the resort. Everything is so quiet and spread out, you can’t help spending time at the resort and just loving it. Most villas have a little patio that overlooks the Lake Buena Vista Golf Course, an awesome place to sit and read or relax while you take a small break from the parks. Parking – While this will not apply to everyone, if you happen to have a car there isn’t a better resort for parking than Old Key West. Most villas have parking lots right in front of them, so the walk from your room to your car is literally a few feet. No huge parking lots that should offer shuttles here, just easy access. Huge Rooms – Old Key West offers the largest villas on Disney property, by quite a way. The main room in the villa is HUGE, as are the bedrooms and bathrooms. You really feel like you have a ton of space. With the remodel a few years ago, the 2 bedroom villas now sleep 9, with a king bed in the master, 2 queen beds in the second bedroom and a fold out couch and chair in the main room. Even with 9 bodies in the villa, they still feel spacious. Villa Amenities – Not only do a miss the space when not staying in a villa at Disney World, I also miss the amenities you get when staying in a villa. In addition to the large family room which is great for gathering during the day, you also get a full kitchen (which is a great money saver on some meals) and a washer and dryer. When we visit Disney, we try to make it an extended stay, usually 11 – 12 nights, and the kitchen and washer/dryer pay for themselves. Access to Disney Springs – Old Key West is technically classified as a Disney Springs resort, but the access to Epcot, Hollywood Studios and the Magic Kingdom are very quick and painless by Disney bus. 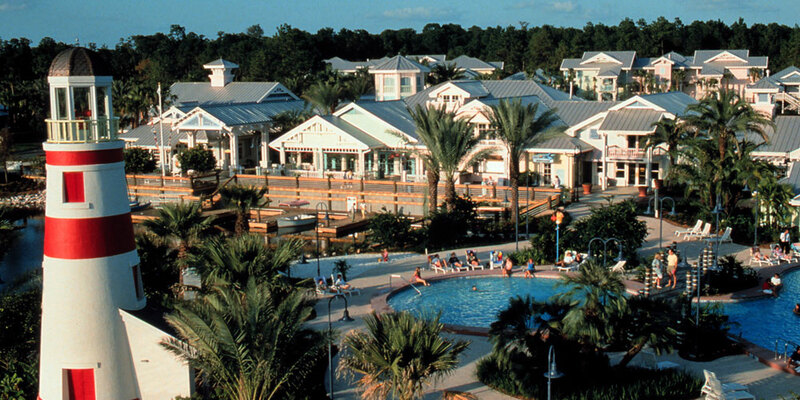 But, the access to Disney Springs is better than any resort not named Saratoga Springs. You can wonderful boat access directly from the heart of the resort right to Disney Springs, no stops involved and it is rarely crowded. Plus, there is a wonderful nature trail that runs from Old Key West, through the Lake Buena Vista Golf Course and to Saratoga Springs, with a turnoff that heads to Disney Springs right before getting to Saratoga Springs. It is a great way to get to or from Disney Springs if you want to stretch your legs a little bit. Disdom Hint: My favorite buildings at Old Key West are 63 and 64, not only do they have fantastic views but they are right next to the Hospitality House which is where the restaurants, main pool, bus stop and boat launch are. If staying at Old Key West, find yourself a map that includes the building numbers and request any building close to the Hospitality House, you will love it. Why do you love staying at Disney’s Old Key West Resort?